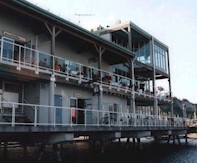 Built on piles over water with view of adjacent marina and Lake Ontario. Our exciting new beach front facility will be completed in 2012. Offering guests an entertaining dinning experience overlooking the Lake. Boardwalk Place is designed to sustain a 12 month a year availability for any event or holiday party. Now offering destination weddings and reception options for Woodbine Beach, Ashbridge's Bay Park lands and/or Boardwalk Place. Patio available. Inbound and outbound catering options. 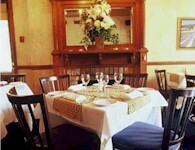 Housed in Victorian manor; specializes in French and Mediterranean cuisine. Interior features bright windows and fireplaces. 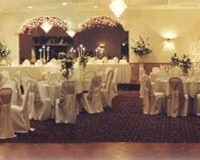 Can accommodate parties of 10-80 guests. Specializes in Indian cuisine. In-house caterer offers three menu choices. 2 rooms available. 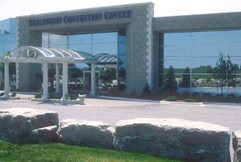 Ensure your success with our professional Toronto, Ontario meeting facilities. Whether you are part of a group of 10 or 200 you will appreciate the comfort and quiet of our meeting rooms. 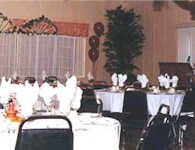 Our banquet room can accommodate groups up to 200 guests. For smaller functions, we have Piccadilly, Oxford and Cambridge Rooms, ideal for functions seating 25 to 90 guests. In-house wedding and menu consultants. In-house catering only; range of menu selections available. 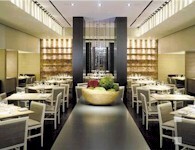 Has food & beverage team to assist with planning events. 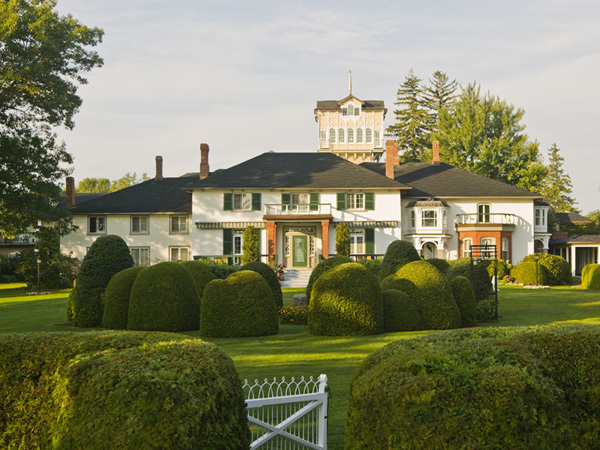 The Briars' captivating marriage of traditional country inn warmth with extensive resort facilities provides such a sense of a private retreat that our guests consider us "Another World", just an hour from Toronto. 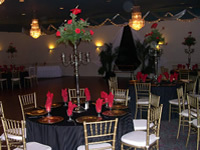 The largest event space seats 120 for banquets and 160 in a theatre setup. Twelve corporate meeting rooms are available for as many as 90. 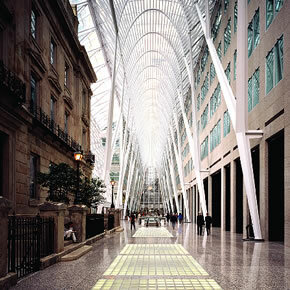 Brookfield Place is many things. An architectural wonder. 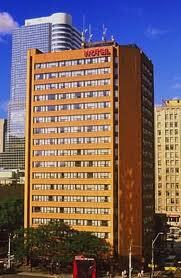 A world class corporate address. A hockey shrine. But most of all, it is a people place. 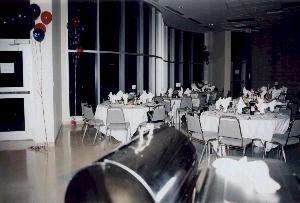 There are four versatile spaces within the complex available for special events on a daily, weekly or monthly basis. Special event manager on staff. 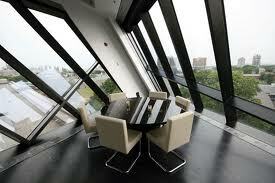 Function rooms have floor-to-ceiling windows with views of grounds. Our Commitment To Serving You . . . Is A Guarantee! 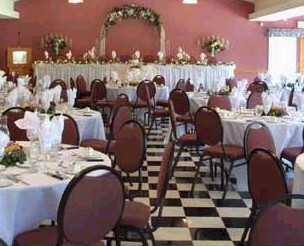 Brookside Banquet Centre serves the finest food and will take care of your every need by offering you full-service event planners. 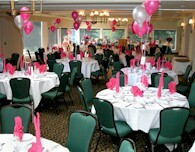 We take the pressure off by assisting in planning your events from start to finish. Art gallery-type setting. Centre has preferred relationship with Pepperwoods caterer. Admission to Art Centre is free. Largest contemporary ceramic collection in the world. Large main hall partitions into three areas: Emerald Hall, Queen Victoria Hall, Rosewood Hall. Queen Victoria Hall has large cove stage. 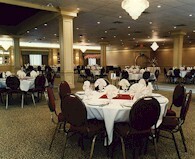 Newly renovated community centre has several function rooms for rent. Restaurant has three private rooms with capacity of 14 guests each. Rooms can be joined together for larger parties. Offers ser menus and customized menus. Set in Caledon Hills near Credit River. Large grounds offer numerous photographic opportunities. In-house catering available.